Every year we host a series of Twitter Chats in order for Fringers to meet and mingle online before the festival begins. It’s a great way to recruit audiences and make #fringeships long before June. You’ll get to tweet about how the process is going for you as well as the opportunity to chat with Fringe staff members. All you have to do to join the discussion is use the hashtag #hff17. The chat will be moderated by Communications Director Stacy Jones Hill on the @HollywoodFringe account. Can’t make the time but still want to participate? All you have to do is schedule a tweet or two using one of the many available Twitter clients. You can only use 140 characters (including spaces and punctuation) in every tweet so brevity is key. To say something publicly to someone, you can type their Twitter handle into your message (anything that has an “@” before it is someone’s Twitter handle/user name). Other Twitter users will be able to see these messages. To say something privately to someone, you can send them a Direct Message (they will have to be “following” you first). To take part in the Fringe conversation, include the hashtag #hff17 in your tweets. You can also search the same hashtag to see what other Fringers are saying. Don’t spam people on Twitter. Use it thoughtfully. Post pictures of your rehearsal process, links to your fundraising page, ask people questions about their own production, but DO NOT send the same message fifty times to every Twitter handle you can find. This will directly oppose any goals you may have to make friends. Posting a . before an @ helps tweets show up on your feed. 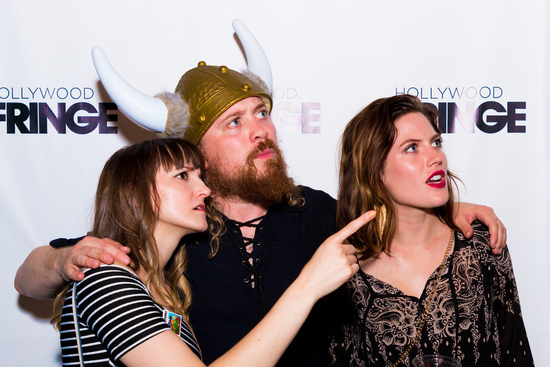 For example, if you said “ @hollywoodfringe is super cool", only users that follow both you and @hollywoodfringe will see the tweet. If you instead write " . @hollywoodfringe is super cool " (note the period at the beginning), everyone will see.